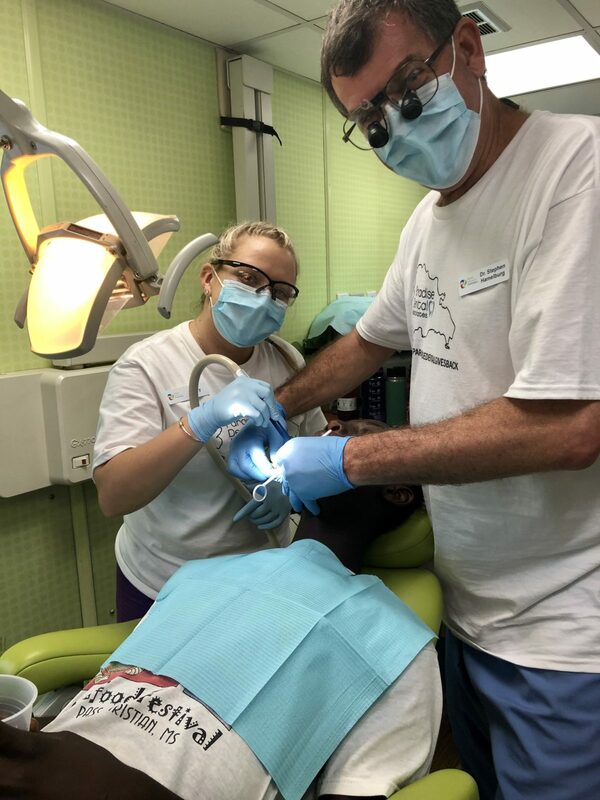 In November, our team collaborated with World Mission Partners and traveled to the Dominican Republic to provide Dental Care to the local villages. This adventure came with much anticipation as we raised funds collectively and separately for the better part of the 2018 year in order to make it possible. It is safe to say that this trip was once in a lifetime for each member of the Paradise Dental Associates team. On our first day, we were able to visit a local batey, attend a church service, tour the area and interact with the villagers. This was indeed, an eye-opening view as to the true condition of these impoverished parts of the country. The first two out of our three days serving were spent in these shantytown villages amongst the vast sugar fields. Our clinical team worked out of an RV mobile unit with minimal equipment and tight spaces. There were moments of improvisation, losing power and Dr. Stephen himself, was even captured performing treatment on one knee more than once. Our other team members were able to distribute parasite prevention medication, deliver fluoride treatments and an even ran an eye vision clinic outside of the mobile unit. On our other days of service, the Doctors and support staff were able to provide care in the new dental clinic at El Buen Samaritano hospital, in La Romana. Other groups of our team traveled together to local elementary schools, providing additional fluoride treatments, handing out toothbrushes and educating the children about general dental care and proper maintenance. As an added opportunity of service, we had a group that volunteered to contribute to a school construction project that built, painted and completed a school playground courtyard at the Henry Erikson Elementary School. Our week was filled with dirt, blood, sweat, tears. We all experienced a sense of teamwork like never before. We made an impact with every treatment, and more importantly, with every interaction. The ripple effect of our mission is unmeasurable, the bonds are unbreakable and the memories will last a lifetime. Paradise Dental Associates made their mark on the Dominican Republic. Our Thanks to all who made it possible for us to provide this care to those in need. This would not have been possible without your support. If you want to see more pictures from our trip and stay up to date with Paradise Dental check out our Facebook page! If you want to get involved contact us on our website or at (781) 780-2246.